Greater amount of character customization; added depth in character growth; lots of new options for dungeon mapping; basic mode available for those looking for a somewhat easier experience. Removal of extra elements of gameplay creates a slightly more repetitive experience; difficulty, especially at the beginning, is a little off-putting; genuinely frustrating at times. There's something to be said about a good dungeon crawler, one where you delve deeper and deeper into an unknown depth, with uncharted creatures willing to tear you apart to stop your advance, not really sure of what puzzles and challenges lie ahead. The Etrian Odyssey series has always been devoted to this kind of gameplay, with every game in the series iterating upon the same basic foundation, of venturing further into a labyrinth with a party of characters, getting stronger and stronger as you go. In addition, there's no map to speak of - if you want to know where you've been, you need to draw a map yourself on the bottom screen of the DS, or, in recent additions, 3DS, forcing you to pay attention to your environs lest you miss an turn in the path or a door to the side. 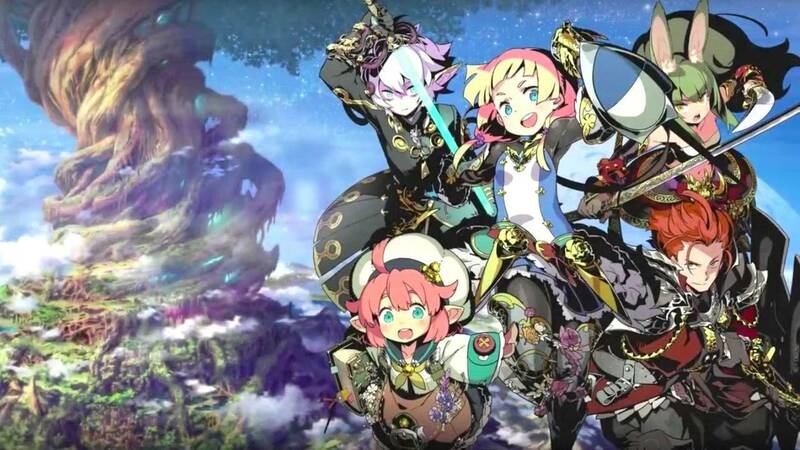 Like each Etrian Odyssey game, Beyond the Myth starts with you creating a guild of explorers, this time inside a city at the base of the great tree Yggdrasil. Then, without much ado, you're given the task of exploring the towering world tree, finding its secrets in the process. 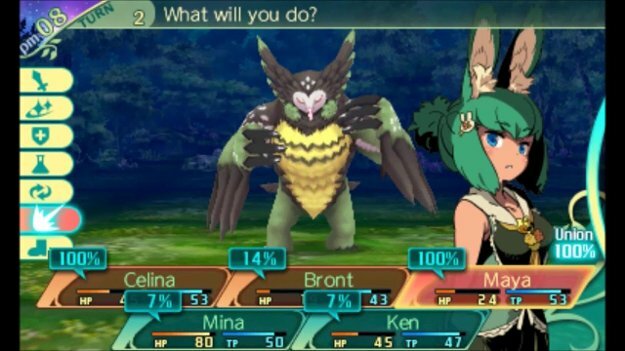 The thing about the EO series is that recent iterations have typically tried something new - EO3, for example, allowed you to explore an ocean alongside the labyrinth, whereas EO4 gave you an airship and a number of 'mini' dungeons to venture through, typically giving you a quest reward or treasure in the process. But Etrian Odssey V: Beyond the Myth, eschews all of this to return to the basics: one huge labyrinth made up of multiple stratums, with a boss at the end of each. That's not to say that the game is only as complex as the first in the series - while the extra dungeons and exploration options have been discarded, the tradeoff is that Beyond the Myth has drilled down on the basics of the game: party and explorer customization. When the game begins, you're given the option to create characters of different races, each with their race-specific classes to build your guild members from. As the game progresses, however, the amount of options available to you grows, allowing you do such things as changing classes (even to other race-specific classes) in exchange for bonus skill points or gaining one of two legendary titles for your class, offering new skills to learn and different attributes progressions as you grow in strength. This amount of variety in character growth means that even if you begin the game with the same party composition as another player, by the end of the game there's a good chance that you'll be using wildly different strategies in combat and navigation, with characters that perform quite differently between the two of you. It also means that putting multiple characters of the same class in your party could actually work, given how differently you can build them up. It shows a remarkable amount of depth to the game that a lot of dungeon delvers can sometimes lack. The dungeon exploration mechanics themselves likely aren't going to surprise anyone - there's little new here that players in the series haven't seen before. As before, you walk through the dungeon floors step by step, manually mapping it on the bottom screen as you go (though it may be notable to mention that the amount of mapping options available has greatly increased). FOEs, powerful monsters that show up in your field of view and on the map itself, patrol the areas in various ways - some move on patrol paths, some move twice every time you move once, some give chase only when you move in front of them - and all of them are lethal, at least when you first encounter them. 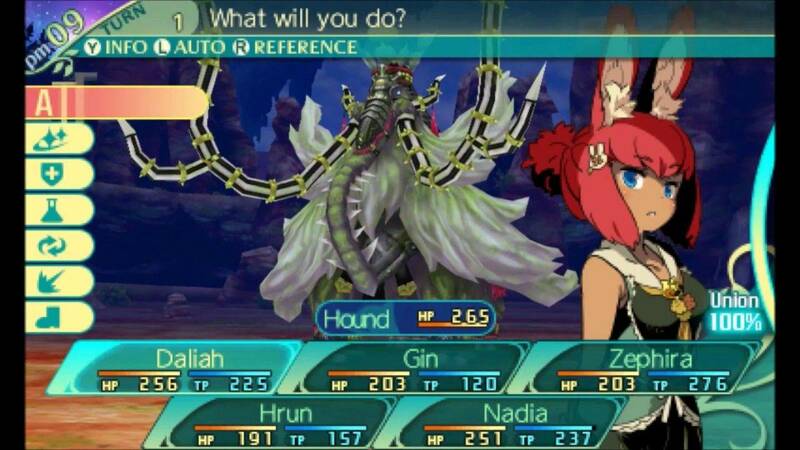 And of course, this is an Etrian Odyssey game, which means that it is dangerous. It's entirely possible to enter the first fight of the game and have at least one party member die (to a couple squirrels, no less), forcing a retreat to town. 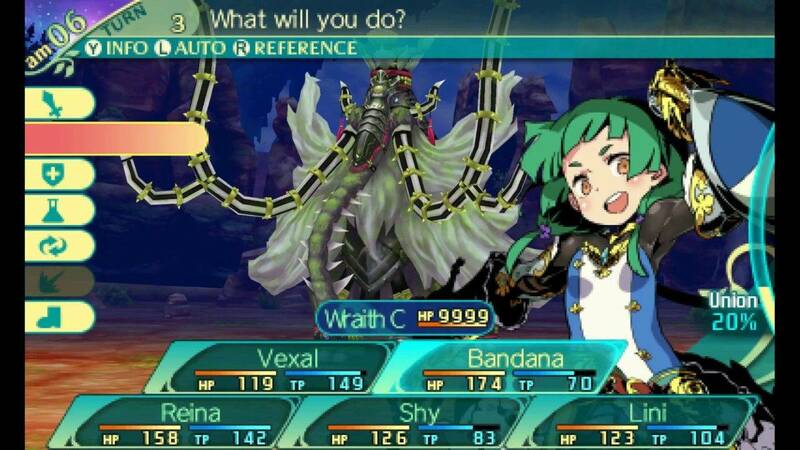 Things get a little easier as you get some levels, skills, and equipment under your belt, but battles still require you to keep elemental weaknesses in mind, random opponents still deal a lot of damage, and stratum bosses are likely to grant you a game over multiple times until you get a little stronger and learn their patterns. However, if you're here more for the story and exploration and less for the difficulty, there's a Basic mode that makes things a little easier (but still offers a tough scrap). 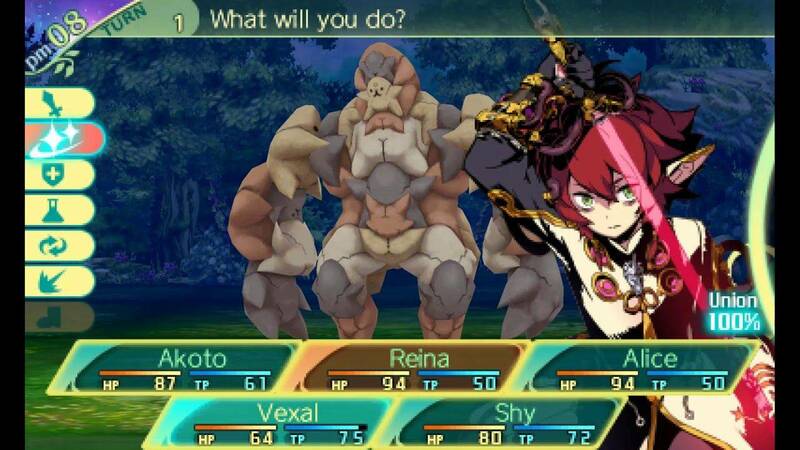 There's not too much that can be said for Etrian Odyssey V that hasn't been said for many of the other games in the series - less so, in fact, with the removal of the tertiary gameplay modes that let you explore and such, but that's not to say that there's less to the game itself. This time, it's clear that the focus of the game is your team and how you build them to face the challenges ahead, which offers a much deeper experience than simply exploring an ocean has provided. It's an excellent dungeon exploration title that may turn some off with its single-minded focus and high difficulty, but for those who live for going deeper and deeper into a forest labyrinth (or those that want to check out what that's like), Beyond the Myth will certainly provide what they're looking for.